Kpop girl group Lovelyz (러블리즈) performing at Vivaldi Park Riding Concert in December 2015. Vivaldi is best known for its ski resort in winter season; but its summer water park, the Ocean World, is quite popular too. 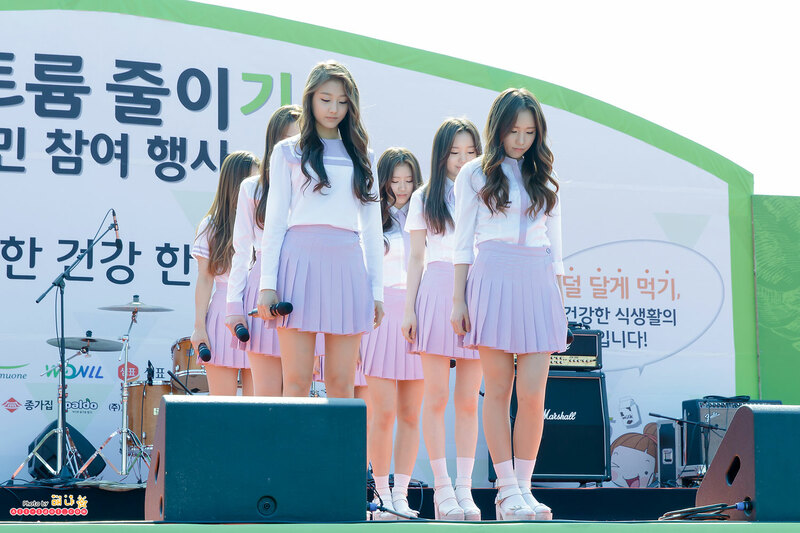 Korean girl group Lovelyz performing at a public broadcast event for Byeok’s Bounce Bounce radio show at Seoul’s Yeouido Park in April 2015. The rookies made their debut last November.